“We love Growing Room! As a parent, it’s hard to trust just anyone to watch your children in your absence but Growing Room made it a little bit easier for me. From Day 1, I felt safe leaving my children there each day. They earned my trust and my confidence right away. “Growing Room is truly my kids home away from our home. They are greeted by name each day from exceptional staff that know them and genuinely care about their well being. 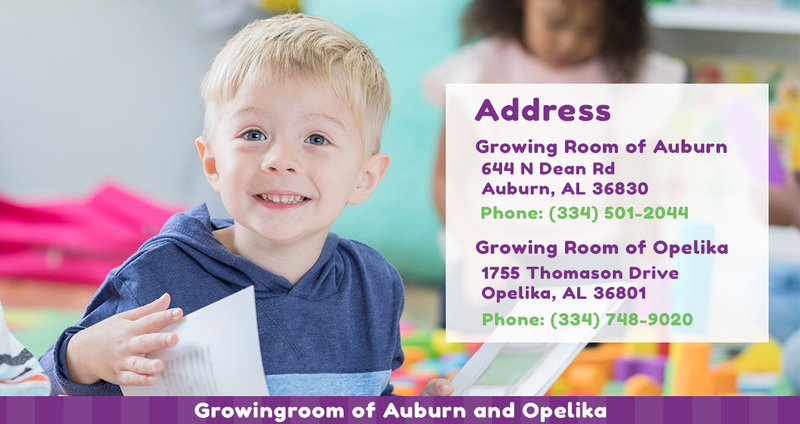 “Growing Room is the absolute best place for childcare. My son started there when he was 15 months. I was worried about the transition from a home daycare; however the teachers and front office staff took him in like he was family.​ They loved on him and gave him special attention to help smooth the transition. He looks forward to going to school and has learned so much! I love going to work every day not having to worry about my child’s safety or well being.